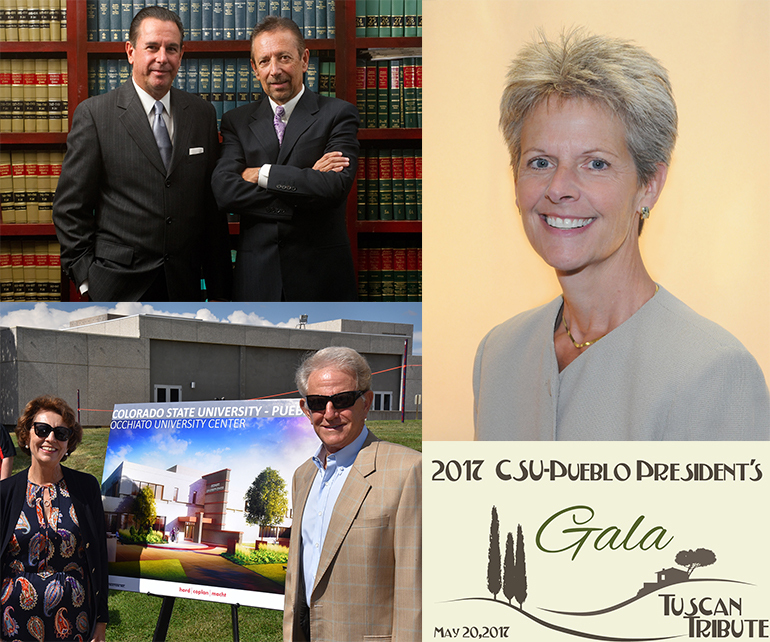 PUEBLO – Jim and Joe Koncilja, Mike and Joyce Occhiato, and Jennifer Mullen will be honored as part of the Colorado State University-Pueblo 2017 President’s Gala, A Tuscan Tribute, on Saturday, May 20 at the Sangre de Cristo Arts and Conference Center. Proceeds from the Gala directly benefit future generations of CSU-Pueblo students through scholarships and programs. This will be the final gala for CSU-Pueblo President Lesley Di Mare, who will retire from the University on June 30. The 2017 President’s Gala will begin at 6 p.m. with cocktails in the foyer and paseo. Tickets for the 2017 President’s Gala are $125 per person or $1,500 for a corporate table of 8. Information on tickets, sponsorships, and corporate tables is available through the CSU-Pueblo Foundation, 719.549.2380 or at www.csupueblogala.com. Broadway vocalist Sal Viviano will perform Italian-themed music as part of the evening. For the fifth straight year through the generosity of 2001 alumnus Chris Turner, a reunion of former Associated Students Government presidents and vice presidents will begin at 5 p.m. on the evening of the gala. Contact Director of Alumni Relations Tracy Samora for more information at 719.549.2858 or tracy.samora@csupueblo.edu.. The President’s Medallions recognize individuals who set high standards of ethics and values to serve as examples for CSU-Pueblo students and the campus community as a whole through their profession, exceptional service, and/or contributions to humanity. Recipients support the University’s continual progress toward future goals and achievements and/or make significant contributions as an advocate of post secondary education. 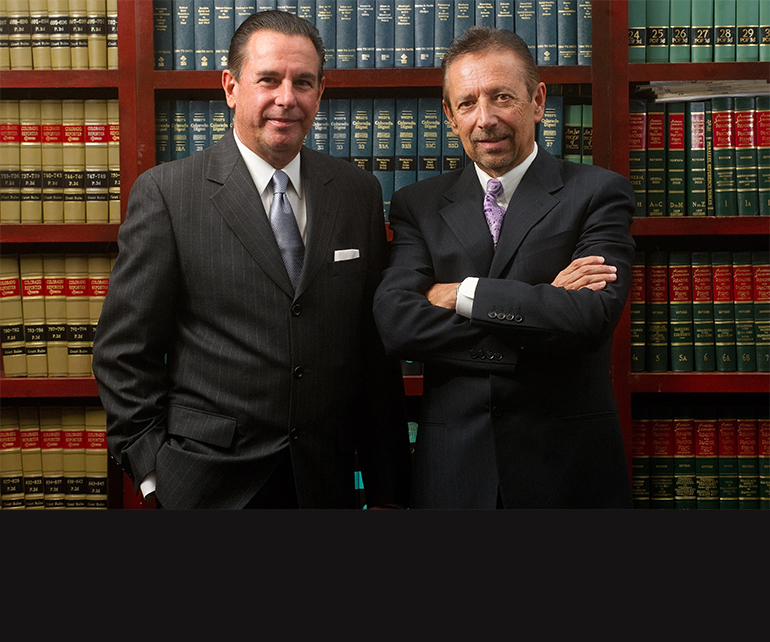 Jim and Joe Koncilja will receive President’s Medallions for Distinguished Service to the Community in recognition of their long-term investments to improving and preserving the Pueblo community and its history. Due to their renovation efforts, the Pueblo Union Depot stands proud as a historic gem in our city center. Neon Alley, born from their personal neon sign collections, serves as a beacon to attract tourists and community members alike to the heart of Pueblo’s downtown area, which also has benefitted from additional improvements to Union Avenue and Mesa Junction buildings and landscape thanks to their support and generosity. 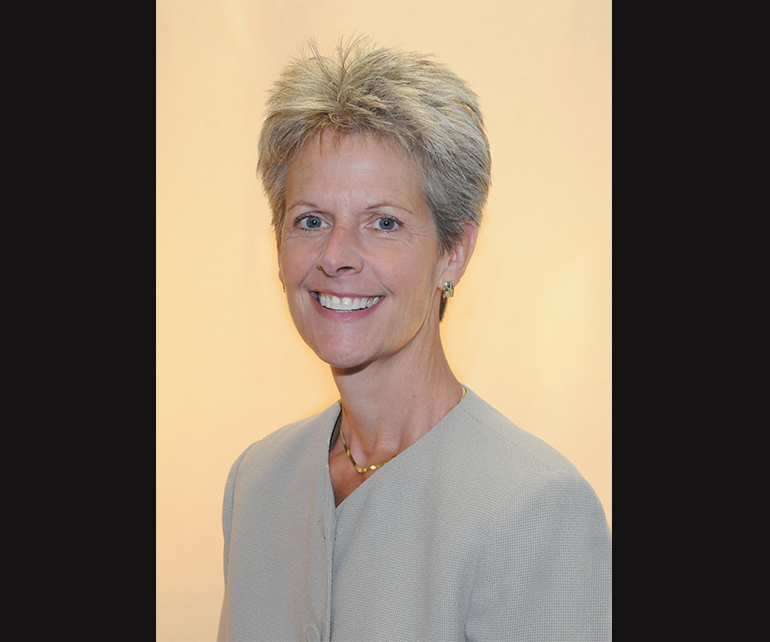 Jennifer Mullen will accept the medallion for Distinguished Alumni Achievement. Mullen earned a bachelor’s degree in mass communications in 1983 and has served the University as a faculty and staff member for more than 25 years in numerous capacities, including President’s and Chancellor’s search committees, the President’s Cabinet as Chief of Staff, and chair of the Mass Communications Department. Most recently, she has brought her vision and leadership to the Institute for Cannabis Research as its first managing director. Her passion for service extends to the community, where she has led boards for the Boys and Girls Club and Rocky Mountain PBS. Prior to joining the CSU-Pueblo family, she served as the first executive director of the Child Advocacy Center and held positions with the 10th Judicial District Attorney’s Office and Columbine Girl Scout Council. Mike and Joyce Occhiato will receive medallions for Distinguished Service to the University for their long-term investments to improving the campus landscape, specifically the Occhiato University Center, an integral hub for student programming and services. This facility has and will continue to have a significant impact on the recruitment and retention of our students and their overall satisfaction with their campus experience. Their recent $1 million gift to the On the Move capital campaign helped the Foundation achieve the most successful fundraising initiative in its history and exceed its $25 million goal. The Occhiato University Center is undergoing a $30 million renovation and expansion, that is expected to be completed in Spring of 2018. 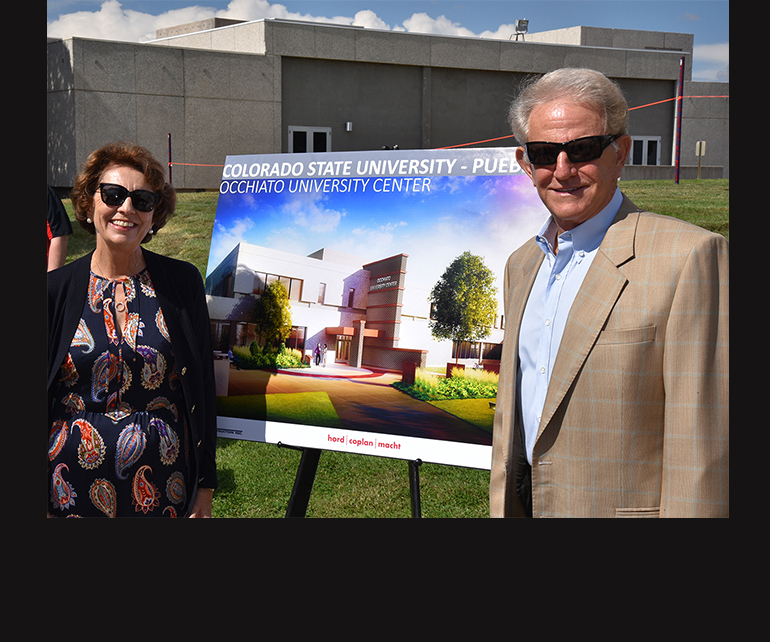 The entire Occhiato family has left a legacy on the CSU-Pueblo campus that will continue to benefit future generations of students.